Steakhouse business has been quite popular since ages. You serve the best beef steaks at your steakhouse. 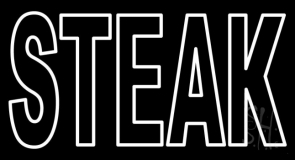 So advertise this with a bright steakhouse neon sign. Allure steak lovers to frequently visit your steakhouse and indulge in their favorite steak dishes by displaying neon steakhouse sign at your entrance. 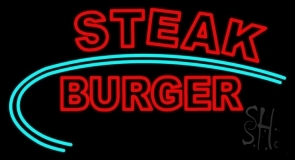 Bring in your customers passing by with the glowing effect of steakhouse neon signs. 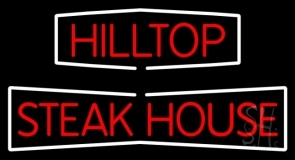 Steakhouse neon signs are easy to install and will give out very low maintenance cost. Not only are steakhouse neon signs durable, but they will light up your steakhouse for decades if handled with care. 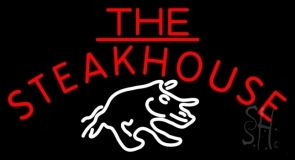 A steakhouse neon sign turns out to be one of the best sources of investments for your business that will bring in great returns. 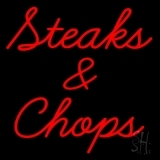 Add a steakhouse neon sign to your door fronts or in the windows and watch the growing number of customers. 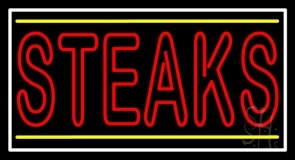 We have a wide collection of neon steakhouse signs that will turn out as the best choice for your steakhouses. 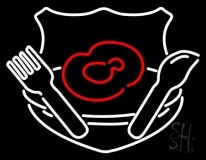 Whether it�s a large piece of beef steak or a small steak on a plate accompanied by a fork and knife, we design unique and distinct steakhouse neon signs. 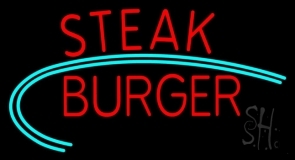 Along with stock neon signs, we also deliver custom steakhouse neon signs. Select a custom steakhouse neon sign from our collection or opt for getting it customized. Submit your business logo, name and design and select your choice of neon colors, fonts and frames. Our designers will customize a unique and exquisite steakhouse neon sign that will fit all your requirements. So get your steakhouse neon sign today! Click here!